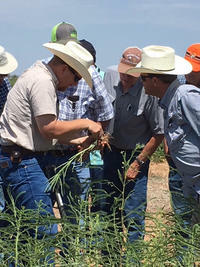 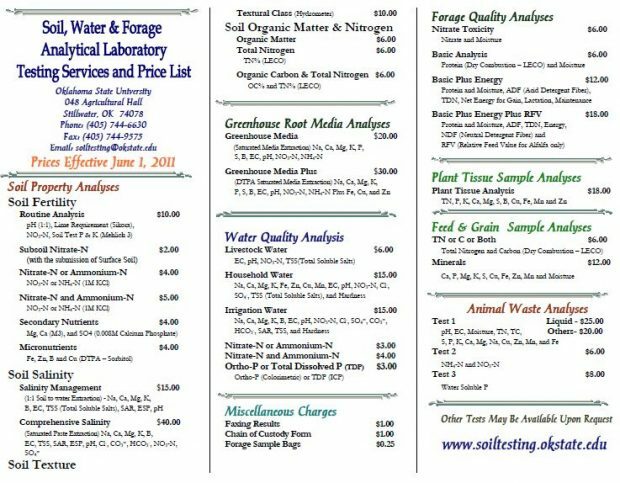 This is the 2011 fee schedule from OSU’s Soil, Water, and Forage Analytical Laboratory. 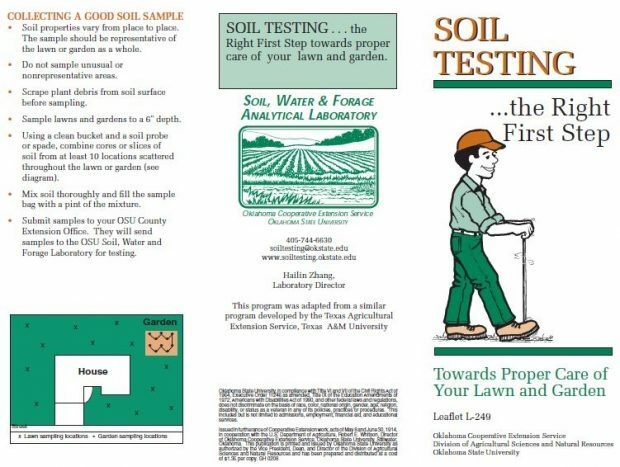 This is Oklahoma Cooperative Extension Service leaflet number L-249. 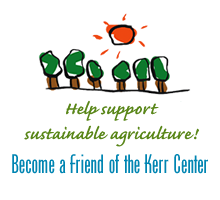 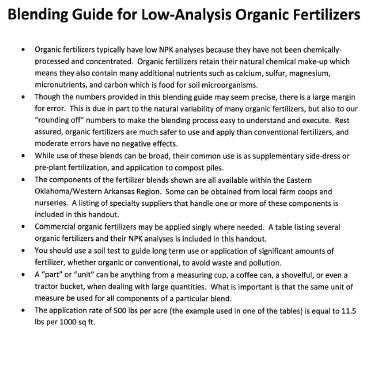 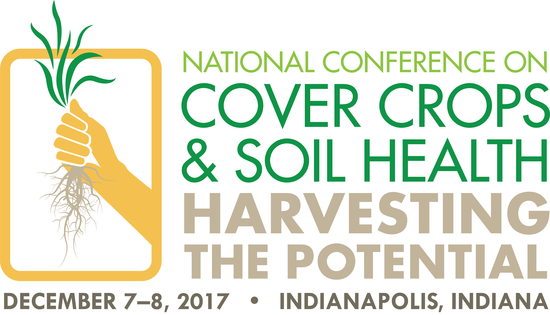 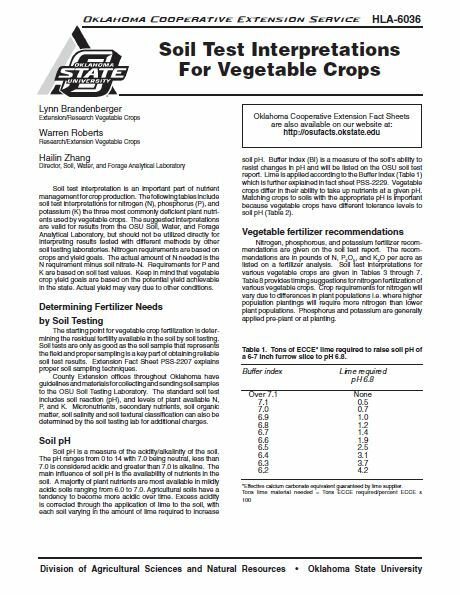 This is Oklahoma Cooperative Extension Service publication number HLA-6036. 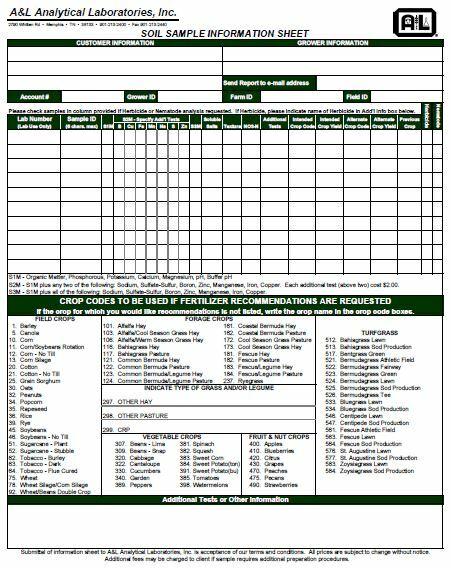 This is a soil sample submission form from A&L Laboratories. 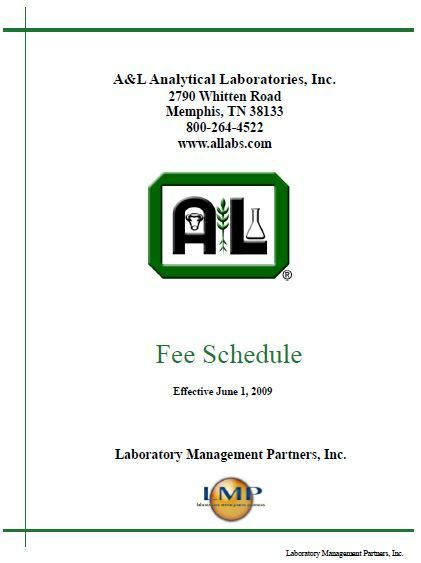 This is a fee schedule from A&L Laboratories.